On January 22, 2019, Law No. 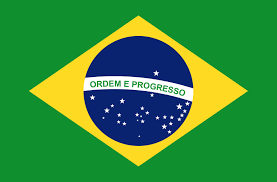 8,298 of January 21, 2019 ("Law") was published on the Official Electronic Gazette of the State of Rio de Janeiro, amending Law No. 4,191 of September 30, 2003, which established the State Policy on Solid Waste. The new Law defines standards for disposal of solid waste in aquifer areas, as well as guidelines for new and existing sanitary landfills. The main goal of the State Law is the regulation of the operation of landfills in the State of Rio de Janeiro, determining rules for the treatment of manure, among other obligations. According to the Law, new landfills may only receive solid waste with the definitive Operating License (LO) issued by the state environmental agency. In addition, the manure treatment system must be in proper operation condition. For that reason, the preparation of manure treatment system for new landfills are mandatory. In the case of existing landfills that do not have a manure treatment system, the state agency shall establish conditions for its execution.